After moving from Bickleigh to Tiverton, I decided to concentrate on hybridising collerettes. This was based on the premise that the yield of new varieties of exhibition quality would be increased. Could the 1 in approximately 300 figure for successful seedlings be improved? My previous experience indicated that some varieties proved to be poor seed parents. So would it be possible to find a seed parent with a significantly enhanced yield of successful offspring? Mr. Bill Mark (NDS Patron) had intimated to me some years ago that a certain variety that he named yielded good offspring of both cactus and decorative form! 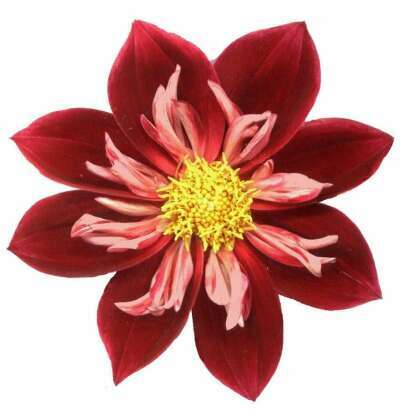 So I concentrated for several years (1999 � 2003) in assiduously collecting seed from certain varieties and recording the success of the seedlings on the show bench. By 2003 I had formulated a number of conclusions based on my observations. However relatively little data had been collected and pictorial records were patchy, so definitive statements cannot be made. What was clear from the written information was that one variety � SUE MOUNTJOY � yielded over 60% of the varieties that won at the National Show. These included 1st, 2nd and 3rd in 2001, 2002 and 2003 in the Seedling Class and 1st in the Championship Class for Collerettes in 2002 and 2003 (6 varieties), as well as wins in the single vase class. Another observation was that seedlings from specific varieties yielded a very limited range of colours with quite a percentage being very like the parent. Two that were prominent in this respect were JANET HOWELL and KATE MOUNTJOY. JANET is red with a yellow collar. A large majority of the seedlings were red, yellow or a mixture of red and yellow. KATE has a white base onto which it appears that brush strokes of purple have been painted and has a white collar. The seedlings were invariably white, purple or a mixture of purple and white. SUE MOUNTJOY is a deep red with the look of velvet and has a pink collar. Seedlings cover the range of colours � white, pink, red, orange, yellow, mauve and purple. This variety grows taller than the majority of collerettes, (6 feet) but has tremendous stems reaching as much as 5 feet. This attribute has been passed on to its seedlings. Another important aspect of hybridising relates to the percentage of offspring that are of the desired classification. In 2000 I calculated that about 8% of the collerette seedlings were true to form. By 2003 this figure for SUE MOUNTJOY was between 80 and 90%. 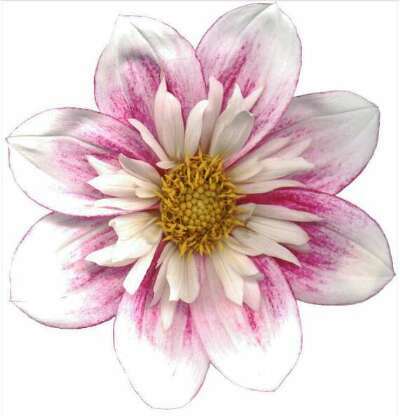 This figure included all varieties with collars, although some were not as much as the 1/3rd length compared to the main petals as required for exhibition in the NDS Classified Directory. I concluded that the percentage of seedlings of collerette form had increased in direct correlation to the decrease of other classifications in my garden. In the period 2000 to 2003 I grew approximately 300 seedlings each season, with generally about 60 from each of five seed parents. Of these on average 25 seedlings were marked for further trial each year. In the following season further selection resulted in eight of some, five of others and just three of the rest being grown. The maximum number I can grow here is 215. NB. In 2004 I nicked the patio and increased that number by 27! But will I get away with it in 2005? 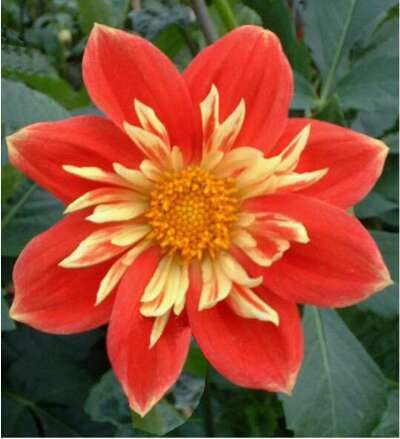 The period of time from taking seed to getting named varieties in the RHS International Register of Dahlias and in a commercial catalogue via winning a National Championship is at least four years. So knowing that I would be 72 in 2004 I decided to do one last year of hybridising and this time grow many more seedlings, take extensive written records, photograph every new flower, have a serious set of objectives, do the exercise as I would have done a project when I was a Research Chemist, reach some concrete conclusions and write up the lot for posterity! 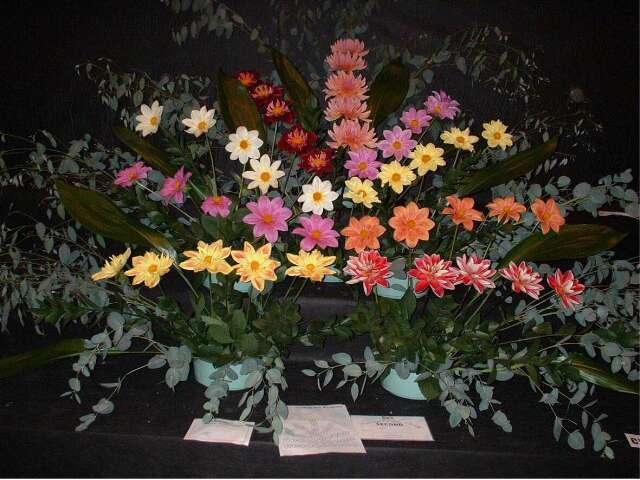 10 ft x 8 ft arrangement of 9 of my seedlings at The National Dahlia Society�s Show at Shepton Mallet in 2003.